The Committee met to discuss the criteria that the Committee would use to shortlist the 88 candidates who had applied for the eight positions as Commissioners on the Gender Equality Commission. The Presidency had also asked the Committee to recommend a candidate to chair the Commission. The meeting with the State Security Agency was postponed until the fingerprints of all candidates had been received and screened by the Agency. The Human Resources unit of Parliament was verifying all qualifications, although qualifications were not a requirement for the positions. The Committee was advised by a parliamentary Legal Advisor from the Office for Institutions Supporting Democracy that there was no standardised framework for selecting Commissioners and that Parliament recommended a framework for selection based on best practice, the Constitution, the relevant enabling legislation, i.e. the Gender Equality Act (Act 39 of 1996, as amended) and the advertisement calling for applications. The Legal Advisor briefed the Committee on the draft framework prepared by the parliamentary Office for Institutions Supporting Democracy. He included criteria to be considered when nominating a Chairperson. He warned the Committee not to confuse feminism with gender equality when considering candidates for the Gender Equality Commission. The Committee Content Advisor also briefed the Committee on suitable criteria. The process of shortlisting and nominating candidates had to be transparent, fair and consistent, and ensure public participation. Following a comprehensive briefing on appropriate criteria, the Committee deliberated on the criteria that it would use for the process. The Committee discussed the recommendation to exclude candidates who had been declared insolvent by a court of law but, considering the history of black people in the country, decided not to be rigid on that criterion and allow candidates to clarify the situation in the interview, if shortlisted. A prison sentence would be addressed similarly. A Member asked the Committee to ensure that all candidates who were liable for maintenance payments met those commitments. The key criterion was a history of gender activism, including those who were vocal and active in rural areas and addressed issues such as the Ukuthwala customs. Other important criteria were honesty, loyalty and integrity and being a fit and proper South African citizen. Candidates who were corrupt or who had brought any organisation into disrepute would not be considered. Ultimately, the Committee wanted to ensure that the Members selected candidates would ensure representation across the country, including the rural areas, candidates living with disabilities, a balance between young and older people and those who had experience working with children. To ensure that institutional memory was retained, the starting dates of Commissioners would be staggered with those filling the three vacancies starting in February 2019 and those replacing the five outgoing Commissioners would start in June 2019. The Committee noted that a Commissioner who had served a single term of office could be re-appointed. Members stated that re-appointment would not be an automatic process and, in addition, to meeting the criteria discussed for all candidates, those who had already served on the Commission would have to show a track record of competence and effectiveness, as well as a willingness and an ability to undertake the work of the Commission. The Committee agreed to shortlist three candidates for each vacancy which would result in a shortlist of 24 candidates. The shortlisting meeting was scheduled for 5 February 2019. The Committee addressed the matter of interview questions. The Committee would not prepare specific questions, but each Member would craft his or her own questions in line with Constitution, the Gender Equality Act and the advertisement. The questions would not be identical for all candidates. The Committee had to avoid a situation where some candidates could benefit from knowing the questions beforehand. There would be six Members on the interview panel. The six ANC Members would take turns to be on the panel while the three Opposition Members would have to sit in every interview. Interviewers would use a scoring system of one to ten points. The interviews were scheduled for 12 and 13 February 2018 and would continue until 20:00 each day. The Chairperson welcomed everyone and announced that there was a quorum. She requested everyone to introduce themselves. The Chairperson explained that the Committee was to have met with the State Security Agency (SSA), but the meeting had been cancelled and she had met with the Head of SSA who explained that his staff could not give a report as it needed fingerprints from all the applicants. She had arranged for another meeting as soon as the SSA had completed the screening of fingerprints. The Secretary would follow-up with applicants who had not yet submitted their fingerprints. The Human Resources unit would verify qualifications and would provide a list of verified qualifications by the end of the following week. The Committee meeting scheduled for the following week was cancelled as Members could not shortlist without the reports from SSA and Human Resources. The main item on the agenda was the shortlisting criteria. Adv Herman Tembe from the Office for Institutions Supporting Democracy would provide some guidelines on criteria. Mr S Emam (NFP) reminded the Chairperson that the State of the Nation Address would be held in the first week of February. By what date did the fingerprints have to be submitted? The Chairperson stated that all fingerprints had to be in by Friday 25 January 2019. Adv Tembe briefed the Committee on the guidelines for the appointment of Commissioners. The guidelines were based on best practice as Parliament did not have a more systematic approach to the appointment of institutions supporting democracy. He stated that, as Members had the document, he would simply highlight key points. -The Portfolio Committee had to make a recommendation to the National Assembly for adoption. -Appointment procedures and selection criteria had to remain consistent with the provisions of the Constitution and enabling legislation. -Where relevant, appointments were to be staggered to enhance continuity and to ensure institutional memory. -Chairpersons were appointed either by the Committee or by the relevant authority, as stipulated in the enabling legislation. -Public participation in the appointment process should be enhanced. -Selection criteria are enshrined in section 193 of the Constitution. -The composition is provided for in the Gender Equality Act (Act 39 of 1996, as amended). -Appointees had to be South African citizens as per the Citizenship Act, be fit and proper to hold office, must reflect race and gender, and comply with any other legislation in the Constitution. -The Gender Equality Act set out the fundamental criterion as a record of promotion of gender equality and applicable knowledge and experience, a record of involvement in relevant bodies, taking into account rural areas. -A balance of education, gender and age of Commissioners. -Persons with applicable knowledge and fit and proper person, i.e. high competence and integrity, honesty, reputation, knowledge and ability as portrayed in various activities. -Section 3(7) of the Gender Equality Act provides for re-appointment for one additional term. Commissioners who had served two terms in office were ineligible for re-appointment. A term of office was for five years, or less if so, decided by the President. -Persons must not appear on the national register of sexual offenders. -Persons must be able to fulfil the role without prejudice. -Consideration must be given to criminal offences, adverse findings against a person, persons who were asked to resign or were fired, and unrehabilitated insolvents. -Shortlisted candidates had to be screened by the state security agency but candidates should be able to clarify adverse findings during the interview. - Commissioners may be appointed for a maximum of five years. -Simultaneous expiration of members affected the Commission negatively, so the term of office of members should not expire simultaneously. The terms of office of five Commissioners would expire in May 2019 and three had expired in December 2018, resulting in eight vacancies. The Committee should recommend that the three vacancies begin in January/February so that there will not be eight terms expiring at the same time in five years’ time. There had to be a hand-over process and an induction workshop. The Chairperson’s term of office had expired. The President had requested numerous times that the Ad Hoc Committee recommend a Chairperson as the Committee would have a good understanding of the nominated Commissioners, having had in-depth interviews and examined their CVs closely. Questions should test leadership skills. and have qualities of loyalty and trust. The Commission had a collective role for responsibility, but Commissioners had to be responsible enough to carry out assigned tasks. The Committee had to ensure public participation, including displaying the CVs of the candidates on the website, and encouraging public comments on the selection process. Adv Tembe concluded by reminding Members that the guidelines were not comprehensive but would assist in the development of a standardised framework by the Committee for use in the shortlisting and interview processes. The Chairperson added that Members should also look at the criteria indicated in the advertisement. Ms B Maluleke (ANC) suggested that the Committee should first engage with the presentation. She believed that if candidates had prior issues, they had to be given the opportunity to clarify the security issues. That did not mean a separate meeting, but they should be given a chance in the actual interview. She asked for the constitution of the Commission. Dr Z Luyenge (ANC) aligned himself with the previous speaker. He also had a problem with the document presented by Adv Tembe. It was a memorandum sent to, and approved, by the Deputy Speaker. The document should have been written as a guideline. The document should be converted from a memorandum to a guideline. The issues that the Committee was going to be raising might lead to the document being sent back to the Deputy Speaker for approval of the additions. He also noted that on page 4, regarding the determination of honesty and integrity, the criteria included being declared insolvent by a court of law. One could not ask in an interview if one had been arrested or declared insolvent. That would be infringing on the integrity of the person to agree or disagree. That requirement had to be in the advertisement so that one could then take it for granted that none of the applicants had been insolvent and consequently qualified as a candidate. The Chairperson explained that the Ad Hoc Committee had to draft its own criteria. Adv Tembe had presented proposals for the criteria. It was in the correct format. The OISD was presenting guidelines. The Committee had to draft criteria for itself. Members could take from the memorandum to develop criteria. The Committee could even add criteria. She pointed out that, for example, the document stated that current serving Commissioners could re-apply but it did not indicate whether the person had to be efficient, show integrity, etc. The Committee had to include such criteria as it did not want to re-appoint Commissioners regardless of whether they had been good Commissioners, efficient, ethical or not, etc. The issue of insolvency had not been considered as a criterion because the Committee Members knew the background of poor black people. Dr Luyenge replied that, as long as the Committee was going to customise the criteria, he was covered. Ms W Newhoudt-Druchen (ANC) asked about the status of the memorandum. If it had been signed by the Deputy Speaker, did the Committee have to adhere to it? She added that she was somewhat covered by the Chairperson’s last remarks as she understood that the Committee could add its own criteria. She was a little worried about the statement that shortlisted candidates would be screened as she understood that all the candidates were to be screened. There was nothing in Adv Tembe’s document about fingerprints, but the State Security Agency was asking for all candidates’ fingerprints. Would the requirement for screening of fingerprints be added to the document? What if the Committee wanted to shortlist an applicant who had not been cleared by the security services? She asked for a copy of the Commissioners’ Handbook on Roles and Responsibilities. The Chairperson reminded Ms Newhoudt-Druchen that the previous time that an Ad Hoc Committee had nominated Commissioners, candidates had been given an opportunity to discuss issues raised by state security and the state security report had not been a reason for not shortlisting a candidate. Where the cases were political and not criminal, the candidates were given an opportunity to clear their files with the Department of Justice and Constitutional Development and the State Security Agency. The other issues raised would be discussed when the criteria were discussed. Mr A Shaik Emam (NFP) wanted a legal interpretation of a person who had been subject to adverse findings or civil proceedings. What was the difference between that and the point about insolvency? In view of the fact that the Committee was meant to shortlist candidates after going through the documents, was it necessary to do fingerprints for all applicants as some would not qualify for shortlisting? The Chairperson replied that the issue of fingerprints was a new thing and had not applied when the previous appointments had been made but it was one of the recommendations made at the time was to improve security. The state security cluster was looking at other ways to assist with the screening of candidates and had added fingerprints to improve screening. Parliament was improving its systems. Ms D Robinson (DA) requested that the Committee check whether any applicants had outstanding maintenance payments as it was a major abuse and she knew that quite a few Members of Parliament did not make maintenance payments. Ms M Khawula (EFF) commented that when the process had started there were 90 candidates, now there were 88. Would Human Resources be able to look into the qualifications of all the candidates by the time that the Committee did the shortlisting? She was concerned that some people who could be useful on the Commission could be excluded. She asked how the Committee would deal with the representation of rural provinces as often only people from Johannesburg were employed. The Chairperson explained that geographical factors would be covered, and consequently rural areas would be covered. The main criterion was that people were gender activists, so applicants did not need qualifications, but they had to be literate. Ms Khawula asked about the inclusion of people living with albinism and disabilities. The Chairperson said Ms Khawula was right that they would like to have representatives living with albinism and those living with disabilities, but everyone would be shortlisted on merit. She had a proposal regarding the number of applicants to be shortlisted, but it was for the Committee to decide on the number. Adv Temba explained that his office had been asked to develop guidelines as currently there was no systematic and comprehensive approach to the appointment of Commissioners because each appointment depended on the enabling legislation of that Commission as well as the requirements of the Constitution. There was no standard as each appointment depended on the enabling Act. His office had relied on best practice for all institutions, but the guidelines needed to be custom-made by the Committee. General guidelines were best because if the Committee had rigid requirements, it could be taken to court if it did not adhere exactly to its guidelines. He reminded the Committee that candidates had access to the guidelines. The Committee was looking at capabilities, etc. which were qualities that were difficult to quantify. Regarding the SSA findings, those should be raised with candidates at the end of the interview so that a candidate was not caught off guard. A good question was: Do you have anything to disclose? He added that only the court could change the status of an unrehabilitated insolvent. The fingerprints would bring up any unrehabilitated insolvents. The issue of adverse findings could relate to something such as defamation. The Committee did not consider Labour Court judgements. Ad Tembe stated that ideally only short-listed candidates should be screened but it was the Committee that had suggested that all candidates be fingerprinted. It would assist those candidates who did not know that they had criminal records as they would be able to deal address the issue. The CGE constitution had been handed out but a soft copy of the Hand Book could be circulated. Mr Shaik Emam appreciated the explanation that an adverse finding did not necessarily have to be about money. He understood that fingerprints did not tell the status of insolvents, etc. If the Committee wanted to check the status of applicants regarding debt, what would Adv Tembe advise in terms of credit checks, etc. For example, if a person had 20 judgements against him or her, that person might be a risk. How would Adv Tembe suggest that the Committee dealt with such situations? Dr Luyenge noted financial instability was relevant to an appointment as a Commissioner as credit checks showed the ability of a person to manage his or her own liabilities. What was the advice in that regard? The Chairperson said that, in the previous Ad Hoc Committee, Members had looked into that situation. Many people who had been disadvantaged had a problem with debt. What effect did that have on someone as a Commissioner? Commissioners were working in a strategic component. She did not think that financial instability had any relevance in such a position. Ms Maluleke suggested that it was necessary to distinguish between a person who could not manage debts and the person that the court had declared insolvent. If the person had been declared insolvent by the court, the person would have been through a process and would have had assistance and an opportunity to pay. It was different if it was an outstanding debt for a particular store. During the previous appointments, the Committee had picked up that one candidate had had a debt, but had serviced the debt. Mr Shaik Emam admitted that being insolvent did not impact on the work, but a habitual insolvent was a problem. That was a risk factor and the person’s debt could influence decisions taken. The Chairperson told him that that was why candidates were given a chance to explain the circumstances. Members could not behave as if they did not now the difficulties experienced by their people. Dr Luyenge suggested that maybe the judgements had been made against people, including unemployed youth who could not get jobs, by various educational institutions. The universities obtained judgements against young people who did not pay their fees, and sometimes it was because NSFAS had not paid the fees. The Committee needed to look into the issue because it really affected young people in the country, both black and white. Adv Temba informed the Committee that the criterion for a fit and proper person was a statutory prescription and could not be avoided, but the Committee had to be transformative and progressive in its approach in dealing with the matter in order to assist applicants. He explained that the State Secret Agency did the screening but the institution, i.e. Parliament, was responsible for vetting, which could take up to 3 months. Any appointment was conditional on the candidate passing the vetting processes of the institution. Screening was a much quicker process and took only a week or so. Regarding default judgements, Adv Tembe explained that such a judgement could be for something as little as R 50, so the candidate had to be given an opportunity to explain him or herself. The Committee had to determine how to do that. The issue of NSFAS, etc. went beyond the scope of the Committee. The Content Advisor stated that most of the issues in her document had already been debated. She added that the Committee would be considering 88 candidates for the eight positions on the Commission. The main guiding principle for the Committee was to ensure fairness, consistency and transparency throughout the entire process. The Committee had to adhere to criteria set out in the advertisement for the position and other legislative provisions, including the Constitution and the Gender Equality Act, as amended. It was important to know that the advertisement did not specify minimum qualifications so the educational status of a person could not disadvantage a candidate. Being a fit and proper person, as discussed by Adv Tembe, was an important criteria. The Committee should ensure that nominees were representative of the South African community and a geographical spread. The Committee staff was compiling a master list showing gender, geography and race, where stipulated. Candidates had to have knowledge and experience relating to gender equality, including theoretical studies, and a commitment to gender equality. Any person whose term of office as a member of the Commission had expired, could be reappointed for an additional term. Before the shortlisting process began, the Committee had to decide on the number of candidates to be shortlisted. The Committee also had to develop an interview framework to be used during the interviews, including the number and type of questions, which would ensure fairness and consistency. The scoring system had to be decided upon and a time allocation set for each candidate. The number of candidates to be recommended had to be determined. Mr Shaik Emam noted that, in light of what had been said, existing Commissioners would have an advantage as they would have the necessary experience. Could the Committee get a report on the performance of the Commissioners who were re-applying that would assist in making decisions? Dr Luyenge said that the presenter was attempting to compel the Committee to comply with constitutional imperatives, but he had also expected the presenter to advise on issues that related to the period from which they were coming as black people. Some of the constitutional imperatives needed to be looked into, including the issue of insolvency. She had to advise as she was a specialist in the matter. The Members understood the poor masses. Ms Newhoudt-Druchen noted that there were eight vacancies. The Act says that the Commission, including the Chairperson, should consist of no more than the Chairperson and 11 members. If there were eight vacancies, there would be three Commissioners remaining. Did those three Commissioners carry institutional memory or were they the Commissioners who had recently been appointed by the previous Ad Hoc Committee? The Chairperson said that on the previous occasion, four Commissioners had been recommended. Some Commissioners’ terms had lapsed in December 2018 and others would expire in May 2019. The Committee was filling eight vacancies so that when the term of office of five Commissioners expired in May, their posts would be filled immediately. She added that Adv Tembe had clarified the issue of insolvency and the Committee had taken a decision on how to handle that matter. The Chairperson noted that Mr Shaik Emam had raised the important issue of the competence of the current Commissioners. The document had not dealt with how the Committee would deal with lazy or inefficient Commissioners. She reminded the Committee Members that they were responsible for determining the final criteria. Ms Khawula made an input. Check audio 01:29:40. The Chairperson stated that she was depending on the Members who served on the Portfolio Committee on Women to advise the Committee. The Chairperson asked the Committee if there were any other criteria that Members wanted to include. Ms Maluleke said that she did not see anything in the advertisement about those whose applications had been delayed in the post. The Chairperson informed her that the matter had been discussed the previous day. The Chairperson said that the Committee had to add a few things, such as including people living with disability and albinism, but should also include some of the criteria raised by the presenters. Members would discuss the issue of insolvency and how to deal with that. Performance was critical and the Committee could not appoint previous Commissioners who had not performed well during their first term of office. Commissioners who had been sowing division in the Commission and were part of the corruption could not be re-appointed. She added that the Commission had only became active after the four most recent Commissioners had been appointed. Mr Shaik Emam pointed out that the Committee could not negotiate on a person declared insolvent, but it could negotiate on other issues. Ms Robinson said that the point about insolvency had been discussed over and over again. The Committee was looking for the best people for the job, people who were not corrupt and who had a good solid track record in their work. She noted that the Chairperson had commented on the ineffectiveness of the Commission. 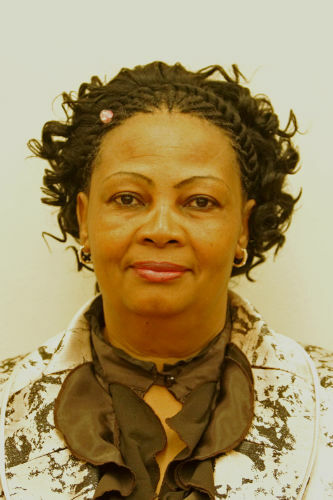 She and Ms Tseke had been in the Portfolio Committee on Women for three terms. In their first term, the Commission had been in a mess and the Portfolio Committee had cleared out some of the officials, cleaned up the mess and had kept a close oversight over the Commission. The Chairperson could see how far the Portfolio Committee had come, and the current situation in the Commission. Ms Robinson advised that the Committee chooses the best people and rely on the Portfolio Committee to exercise its oversight. The Chairperson suggested that the Committee Members take a break to apply their minds and decide what to include in the criteria for shortlisting and nomination of candidates. The Chairperson noted that there had been two presentations and Members should decide which criteria they wanted to use from each of the documents. They should take out any criteria that they did not agree with and include additional criteria. She did not want lengthy discussions on a single criteria. The Committee had to work smarter than that. Politicians liked to talk and to repeat what had been said by someone else. Adv Tembe and the Content Advisor would take notes and would put together a guideline document for the Committee. The Chairperson noted that, firstly, Members had to be aware of the advertisement and not introduce criteria that were not in the advertisement, such as educational qualifications. She added that, secondly, Members would have to read all the CVs. They had until the Tuesday 5 February 2019 when the Committee would receive a report from the State Security Agency. It had to be on 5 February as, 6 February 2019, Members would have to prepare for the State of the Nation Address. The Committee would meet for the whole day to shortlist the applicants. The Chairperson suggested shortlisting three persons for each vacancy which meant that the shortlist would consist of 24 people. There would then be a good selection from which the Committee could choose the nominees. It was as democratic as possible - the Committee simply could not shortlist 88 people. She asked for the approval of the Committee. Ms Maluleka suggested that the number of candidates to be shortlisted be formally adopted by the Committee. Ms Maluleka proposed that the Committee make a shortlist of 24 candidates. The proposal was seconded by Ms Robinson. The Committee agreed to the proposal. The Chairperson suggested that the interviews would take two days, working until 20:00 each day. The Committee needed to determine how many minutes would be allocated to each candidate so that she could be sure that all interviews could be conducted within two days. Members and staff could consider the timeframe and she would come back to that point later. people living with albinism, people living with a disability, gender, race, spread of age, a responsible South African citizen, fit and proper in terms of integrity and honesty, and continuity where the Commissioner had a good track record. Gender activist experience was critical. The Committee would not consider Commissioners who had not been productive or those who had brought the institution into disrepute. A currently serving Commissioner would not be automatically re-elected. The Chairperson asked for input from the Committee Members. Dr Luyenge agreed with the issues raised and would not repeat them, but he was adamant that a candidate who had put his or her organisation in disrepute could not be considered. People living with a disability or albinism were a priority area, but the candidates still had to be qualified. Insolvency confirmed by a court of law was unacceptable, but if the person had had a period of rehabilitation, he or she could be considered. The mental ability of a person was a qualifying factor. Although it was a disability, someone who was mentally retarded could not deal with the relevant issues. Ms Robinson stated that Members did not need to discuss mental retardation as that was so obvious. Insolvency had been rehashed many times, and she understood where it was coming from, but insolvency had never been a problem in previous appointment processes. As far as albinism was concerned, there was a very competent person who was living with albinism who was on the Commission and had a long track record of activism. Ms Robinson added that people with disabilities could be considered, but what the Committee really needed to look for were people with a track record of activism. She asked the Chairperson to confirm the two dates on which the Committee would be doing the interviews. Ms Newhoudt-Druchen noted that it was not mentioned anywhere, but a gender activist did not always work with children and so the Committee had to look for someone who had experience with children because there was a high rate of sexual molestation of children, and someone had to be the voice of those children. The Commission also needed people who could speak for farm workers who were frequently abused. Ms Newhoudt-Druchen asked why the referees and references for the candidates had been taken off the Parliamentary website. She liked to see who the person was who had given a reference and what position that person held, or whether it was a family member. Were the references in the pack? Ms Newhoudt-Druchen reminded Committee Members that one could not refer to mentally retarded people: those people had a mental disability. She asked that Members use the politically correct terms. She cautioned that there were different degrees of mental disability. The Committee was simply looking for people who could function in society. Ms Khawula suggested that people appointed should have an interest in rural issues, and be activists in their rural areas. Appointees had to have experience, but Committee Members should also remember that graduates did not always have experience so the Committee should consider how they could get experience. Regarding insolvency, Committee Members needed to look at the reason for insolvency because Members knew the history of black people. Ms Khawula added that the Committee needed to know which previous Commissioners had not been active and had not gone to the places where they were needed. Those people could not be appointed. People reported that some Commissioners did not go to places where they were needed. Mr Shaik Emam asked how Members were going to address youth representation and rural representivity, etc. What if there was not one suitable youth or rural person? He needed clarity on how the Committee was going to do it. When talking about mental issues, it was about the mental capacity of a person to perform in terms of their duties. An unstable person was a problem. Health was important because people had to be healthy enough to perform their duties, although people could become ill once appointed. It did not help to have Commissioners who were too unwell to perform their duties. Mr Shaik Emam was concerned about criminal offences. Some criminal offences were very minor, such as speeding. Should Members look at the severity of the offence? The issue about debt was similar in respect of the degree. Should the Committee be more open to it? For example, Parliament’s requirements indicated that one could not be appointed if sentenced to more than 12 months. Such offences would, in all probability, not impact on the person’s ability to do the job. How were Members going to get documents on previous Commissioners? The Chairperson agreed that criminal offences and sentences would depend on the seriousness of the offence, and certainly traffic fines would not deter Members from nominating a person. She reminded Mr Shaik Emam that candidates had to be given an opportunity to explain the situation. Ms Tseke agreed with the Chairperson. She noted that a lot of young people had applied and so suggested that youth be a criteria. As a team, Members would ensure that youth were included. South Africa was a country of young people so they should not be excluded. The continuity issue in the Gender Equality Act 3(7) should also be a criteria. The Chairperson agreed. She noted that young people wanted to take over, but institutional memory was also important. There was a need for balance. Often one found that the older people, colloquially known as SASSA people, were usually the ones who did the work. Ms Maluleke agreed that there should be a mix as the Commission could not consist only of youth. She explained to Ms Khawula that when Members talked of experience, it was not in terms of qualifications, but gender issues. She added that the Z83 application form asked for a declaration regarding a criminal offence. She noted the Chairperson’s remark that Members needed to find candidates living with a disability or albinism. What if the Committee could not find such a person who met the criteria? Ms Robinson repeated that there was an existing candidate who was currently a Commissioner and who was living with albinism. She had done a good job as a Commissioner, so there was at least one person who could be considered. Ms Maluleke said that the issue of albinism could be easily resolved but, in the next set of appointments, there might not be a suitable candidate. She was concerned about making that a specific criteria. The Chairperson stated that it was necessary to promote a culture of inclusiveness. If such a culture was not promoted by politicians, no one else would promote inclusiveness. She was concerned that the relevant people did not get information about vacancies. It was not true that there were no such people. The issue was whether the person could perform in the interview. The previous Ad Hoc Committee had given consideration even to those whose applications were submitted late. The Committee had to enforce a culture of openness. Ms Tseke proposed that albinism should not be captured specifically but should be captured under disability. Otherwise, there was a possibility that people with other disabilities would want to be listed specifically. Ms Khawula stressed that when selecting candidates, Members should consider those who were vocal and activists on the issue of rural women, those who advocated against the Ukuthwala customs and those who dealt with the issues relating to amakhosi and other such customs. People of such calibre should be considered because they could assist with those issues. The Chairperson hoped that the Members of the Portfolio Committee on Women had done their homework and encouraged suitable people to apply for the positions. Dr Luyenge agreed with Ms Tseke’s position on people living with a disability. He added that if the Committee could not find suitable persons in the bucket of applications, it was possible to go out and head hunt for suitable people as it was for a just cause. Ms Newhoudt-Druchen noted what Mr Shaik Emam had said about sensitive issues such as health but she thought that the Committee Secretary could assist. The last question would ask people whether they had anything to disclose. That question could be formulated in such a way that candidates were asked whether there were any issues that would hinder their performance in the workplace. It was not just about one person with a disability, but it was about the Commission as a whole being involved and promoting a culture of inclusivity because they could not have a Commissioner representing each disability on the Commission. The South African culture was very diverse, including LGBTI (Lesbian, gay, bi-sexual, trans-sexual, intersex) people, people living with HIV, etc. The Chairperson asked the Content Advisor to summarise what was going to go into the Committee framework. -24 candidates to be shortlisted. -Time for each candidate not yet decided. -Candidates would reflect people from rural areas, disability, race, gender, age, geographical spread, gender activists. -Candidates should be fit and proper South African citizens who had not brought their workplace into disrepute. -Conviction, not speculation, was relevant in respect of insolvency. -Criminal records: the Committee would look at each case. -Candidates had to be able to perform normally regardless of mental health status. -The work performance of previous and current Commissioners would be scrutinised. Ms Robinson asked for the specific dates of the interviews. Ms Newhoudt-Druchen informed the Chairperson that those dates were the same as the dates for responses to SONA. Ms Tseke added that Adv Tembe had suggested that they start by looking at the advertisement. 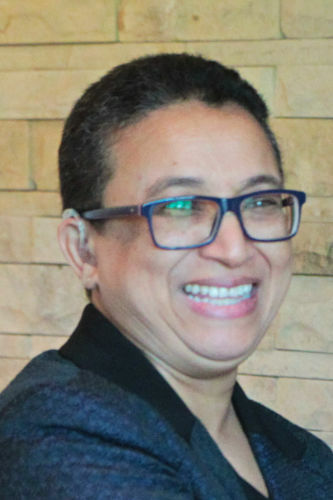 Adv Tembe referred to the issue of bringing the organisation into dispute. The Committee should look into the fact that some individuals had had running battles with the Commission. One of those persons had applied. The development of the guidelines was up to the Committee, but he advised looking into those issues. Adv Tembe stated that the issue of mental disability was non-negotiable because a decision taken by a mentally unstable person would not stand up in court. Rehabilitation from insolvency took about 10 years and then the person would be declared by the court to be a rehabilitated person. The issue of getting someone who had experience working with children was at the discretion of the Committee. When it came to criminal convictions, the Committee could look into the severity of the offence. If the Gender Equality Act spoke about criminal convictions, that could not be ignored, but he suggested that the Committee check the Act on that point. He agreed with the issue of continuity. Adv Tembe added that the Committee should be clear about the difference between gender and feminism. The Commission was not just about feminism. Male candidates should be considered because the issue was about gender equality. He warned that the Committee could not discriminate against a person based on their health. The Constitution did not allow illnesses to be disclosed. The Chairperson noted that some issues raised would guide the questions and not be part of the guidelines. Ms Robinson referred to the issue of bringing the Commission into disrepute, a point raised by the advocate. She disagreed that there had to be a conviction in that regard if there had been public debate on the matter on the radio, television and in other media. There had been a similar dispute in the Commission in her first term of office which had taken years and years to resolve. Some of the Members knew exactly what was going on in the Commission and the Committee could not have the Commission threatened because the Committee wanted to be legalistic. The Chairperson noted that there were some instances where the Committee simply had to use its own discretion. Ms Maluleke added that a person had to be of sound mind. The Chairperson said that that point was obvious. It was not an issue. Ms Maluleke proposed the adoption of the criteria for shortlisting candidates. Mr Shaik Emam seconded the proposal to adopt the criteria. The Committee concurred. The Chairperson informed the Committee Members that they did not prepare specific questions. Members did not write down the questions. Each Member would craft his or her own questions in line with Constitution, Gender Equality Act and the advertisement. The Committee had to avoid a situation where some candidates could benefit from being close to Members and so prepare before the interview. Members needed to assess the person’s activism, whether the person would be a good Commissioner, etc. She added that there would be different questions for those who were currently serving on the Commission as opposed to first timers. Members would change questions for each candidate as interviews were transparent and candidates would be noting what questions were asked. Candidates could be watching the meeting on the parliamentary channel and would swot for the interview if Members discussed precise questions. Members had to change questions as they went on because once one candidate had been asked a question, the other candidates could prepare. Changing questions was acceptable because each question would be in line with the Constitution, the Gender Equality Act and the advertisement. Members could raise further questions on the matter during the shortlisting meeting. Mr Shaik Emam asked if the Committee could agree on a timeframe for each candidate. Ms Robinson advised Members that questions should be short and sharp with no preamble as the intention was to get the candidate to speak. The Chairperson agreed that short, sharp questions were important to allow candidates time to answer. There would be six Members on the interview panel at a time. As there were six ANC Members on the Committee, three Members would ask questions of the candidates at a time on a rotational basis. The three Opposition Members would have to be on the panel for all candidates as they were the only representatives of their party on the Committee. Alternate Members on the Committee would not be interviewing or scoring unless the Alternate Member was replacing a Member of the Committee. There would be a scoring sheet and all Members would be scoring out of 10. Ms Tseke asked how Members would deal with issues emanating from the screening by the State Security Agency. The Chairperson stated that Members would receive the SSA report and the last person to question the candidate, or a selected person, would ask the questions relating to state security. The Members would already know which persons had issues regarding security. Members should not repeat questions. Ms Robinson noted that it might not even be necessary to ask questions relating to the SSA report. Because the Committee would have the report from SSA beforehand, some people might be eliminated beforehand and not even be shortlisted, depending on the severity of the case. The Chairperson agreed that some of the reports might eliminate candidates, depending on the matters that arise. Before the interviews, the Committee would have dealt with the state security report. She assured all Members that they would manage when they found themselves in the interview. Mr Shaik Emam assumed that after the shortlisting meeting, candidates would be told when to come for interviews. The Chairperson stated that flight arrangements would determine the order, but the Committee would know who was coming the first day and the second day. Members had to be aware that disruptions to flights, etc. could change the order of candidates but no one would be penalised for delayed flights and so on. Ms Tseke asked that the holding room be suitable for the purpose and that candidates be given tea or water, etc. The Chairperson noted that, previously, candidates had to sit in a passage. She would ensure that candidates were properly accommodated in a waiting room. Mr Emam was concerned about the deadline for the fingerprints. What arrangements did the Committee have for obtaining the fingerprints and how many fingerprints were outstanding? The Chairperson noted that most candidates had already submitted their fingerprints. She assured him that the Committee would not reject fingerprints because of delays. Mr Emam asked that those that had not submitted be assisted. Ms Khawula asked about those who had applied from deep rural areas. What if there were hiccups along the way and their applications had not been received by the due date? The Chairperson assured Ms Khawula that the candidates could contact the Committee Secretary who would assist them. The Chairperson thanked the Members for their attendance. The next meeting was on 5 February 2019. She urged Members to read the CVs and other documents before the meeting.